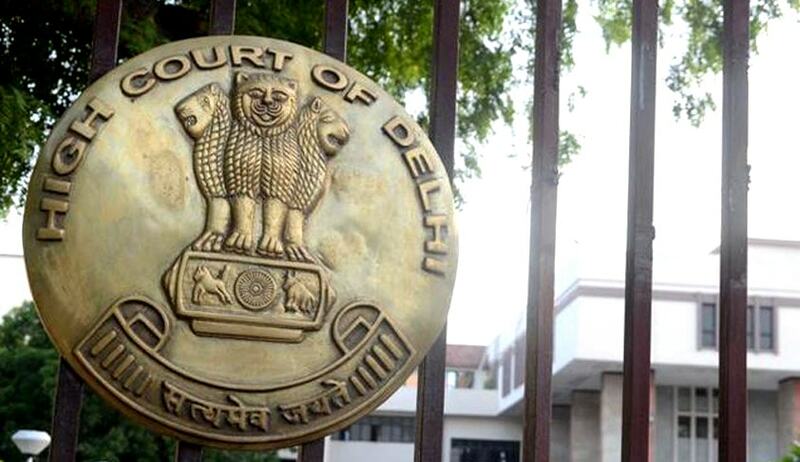 In a recent ruling, a Full Bench of Delhi High Court has held that prior permission of the Court is not necessary under Section 124(1) (b) (ii) of the Trade Marks Act, 1999 for filing a rectification petition before the IPAB, during the pendency of an infringement suit. The Bench, comprising Justice S. Ravindra Bhat, Justice Vipin Sanghi and Justice Najmi Waziri observed that that the Court has no discretion in the matter of stay of the suit, once it is brought to its notice that removal/rectification proceedings in respect of the registered trademark in question is pending. However, where no such rectification application is pending, and rectification proceedings are filed later, the stay is not automatic but is at the discretion of the Court. In such a situation, the Court has to examine whether a prima facie case has been set up with respect to invalidity. In case the Court does not come to a prima facie finding, or the party seeking rectification does not duly file such an application with the prescribed time, the Court noted that the only consequences are: 1. The party loses the right to argue that the suit is to be stayed and 2. The plea of invalidity would be deemed to be abandoned in the suit. Therefore, even if the plaintiff/defendant files a rectification application, the final decision of the IPAB would have no bearing on the suit, in view of the deemed abandonment of the plea of invalidity. The factual matrix in the case at hand involved Infosys Technologies Ltd. suing Data Infosys, and claiming permanent injunction against infringement of its registered trademarks in “Infosys” and allied marks. Infosys had also sought relief against the use of its corporate name, including the use by the defendant of the domain name - www.datainfosys.net which, it was argued, amounted to infringement of its registered trademarks. During the proceedings, Infosys had sought rectification of the registered trademark “Data Infosys” before the IPAB. Upon becoming aware of these proceedings, the defendant, Data Infosys moved an application alleging that the initial filing of rectification proceedings without seeking leave of the Court constituted an abuse of process and that the proceedings before the IPAB were, therefore, null and void. The defendant had relied on Section 124(1) (b) (ii) and stated that the provision itself mandates textually that wherever a suit with respect to trademark enforcement is filed first, and no rectification proceedings are pending, satisfaction of the Court with regard to prima facie tenability of the trademark validity plea is a condition precedent to the party setting-up the plea or agitating it by approaching the IPAB. Infosys had in turn argued that the interpretation accorded to Section 124(1) (b) would show that the prima facie view of the Court in regard to tenability of a trademark invalidity plea is not to enable it to move the IPAB for rectification of a registered trademark during pendency of the suit, but only for the purpose of seeking stay of the suit. It was argued that thus, if the party seeking rectification does not obtain a favourable ruling of the Court under Section 124(1) (b) (ii) or obtains prima facie view of the invalidity plea being tenable and yet does not avail of it, the only result can be its abandonment or inability to set-up the invalidity of the mark as a defence in the suit. It submitted that it does not oust the jurisdiction of the IPAB, which is the sole statutory body charged with the duty of considering the validity of the mark. The Court agreed with this interpretation and Justice Vipin Sanghi observed, “There is nothing in Section 124 (1) or (2) to suggest that either the plaintiff, or the defendant, is precluded from moving an application before the Registrar / Appellate Board under Section 47 or 57 of the Act for removal/rectification of the registered trademark of the opposite party at any point of time, i.e. either before, or after the filing of the suit for infringement by the plaintiff.” It held that as per Section 124, the Court’s jurisdiction extends only to examining whether a prima facie case for invalidity exists only for the limited purpose of granting an adjournment/stay.